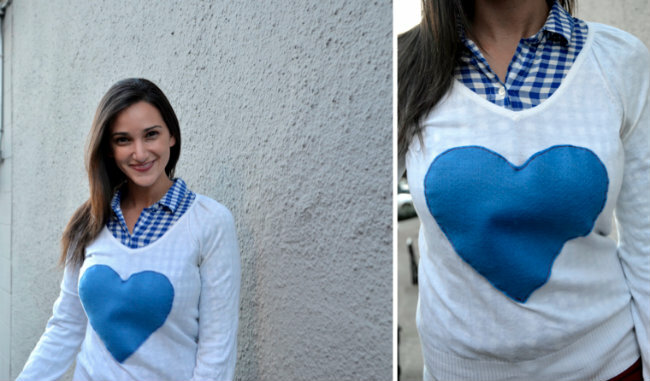 I love this J.Crew Heart Sweater that I’ve been seeing on fashionable gals around town as of late! 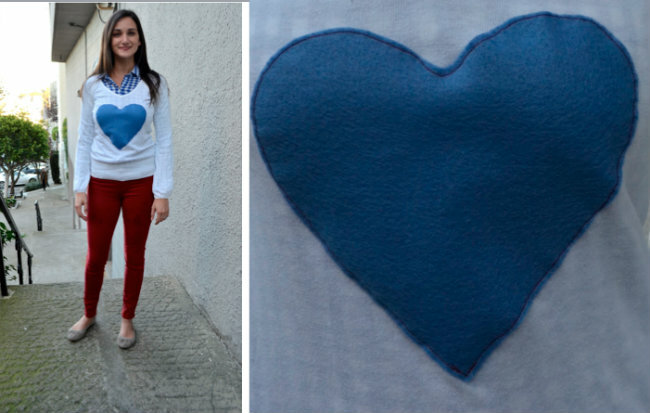 I would love to have this sweater but with the holidays and a few fun vacations on the horizon I’m in save money mode so I decided to try my hand at DIY’ing my own heart sweater! This project was EXTRIEMELY easy! Easy-peasy friends! Want more Fashionably MADE outfits? Click HERE! So cute! Do you happen to have a template of the heart that you used for the artistically challenged?